The new Location is on Napoopoo Rd. just below the Kona Pacific Farmers Cooperative coffee mill. 1 mile from the bottom of Napoopoo road. Projected opening date is January 3rd! 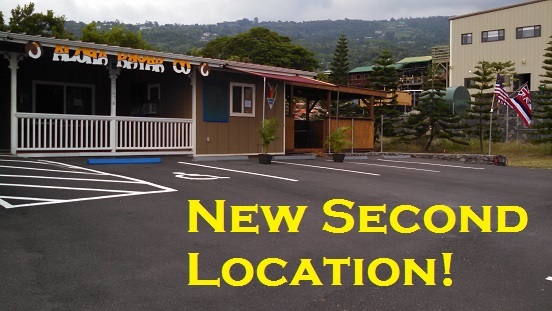 Aloha Kayak Co.s new location will be a shave ice stand with some retail items for sale. Basic ocean activity gear will be for sale such as snorkel sets,underwater cameras, rash guards and t-shirts and other souvenir's . There will be an array of art featured and historical photos for your viewing pleasure. We will also be renting equipment at this location. 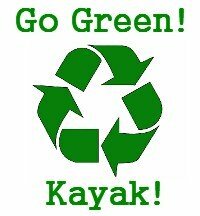 Aloha Kayak Co. will have a very limited supply of SUP's, kayaks for rent, beach rentals such as beach chairs and umbrellas for the family members that just want to sit on the beach and read a book while the rest of the family go kayaking. Special Use Permit to enter Kealakekua bay included with rentals!Must call to make reservations. 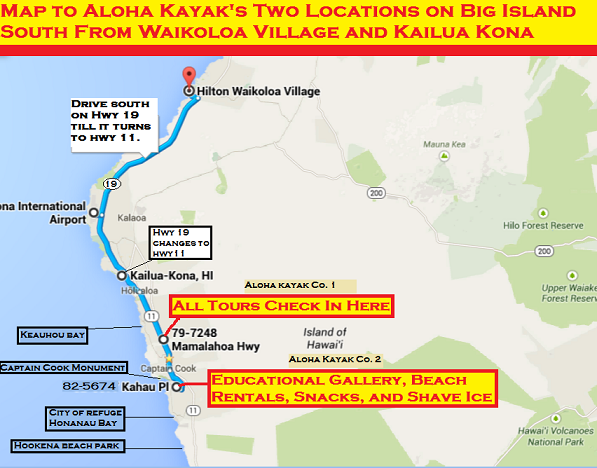 No walk-in rentals due to the strict limit of permits allowed to go into Kealakekua bay. Aloha Kayak Co. will also have a full selection of snorkel sets to rent as well.